With New Year’s Eve only a day away, Thailand’s a great place to be when breaking in 2018. Many will travel to the famous and pulsating southern islands, with Koh Phangan the stand out attraction. Although not officially the Full Moon Party on December 31st, it still feels like it is with soaring crowds and ongoing parties. If you do venture there, you’ll be sure to have a good time! 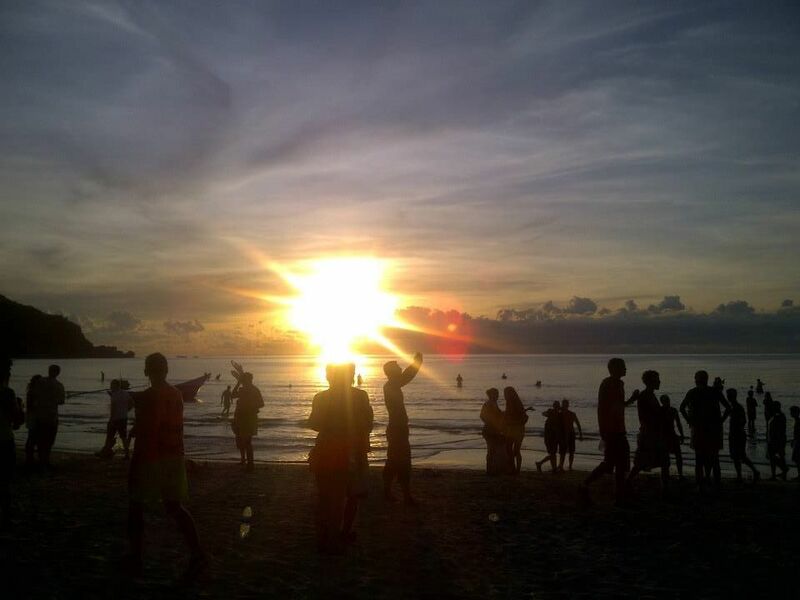 **We recommend Dancing ElephantHostel (Haad Rin) and Dancing Elephant Beach Club (Baan Tai) for Koh Pha ..
It’s been little over a year since the passing of King Bhumibol, Thailand’s most loved King in recent memory. 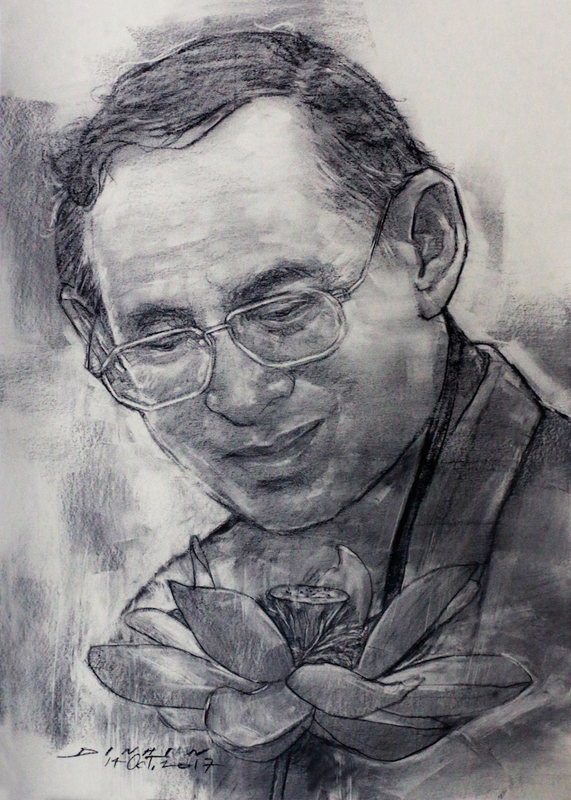 His passing has not been without sadness and sorrow, with many Thai’s have been paying their last respects for the past year. The main symbol to show this is by wearing black, something many Thai’s are still doing so one year on. After one year of mourning, on the 26th of October the official funeral ceremony will take place in Bangkok. Due to this, there will be several di ..
Everyone knows Khao San Road. Everyone knows the Grand Palace. These are attractions that everyone ticks off their bucket list when they visit Bangkok. At Nappark, we can provide you with information to visit the best places that you’ve read about online. 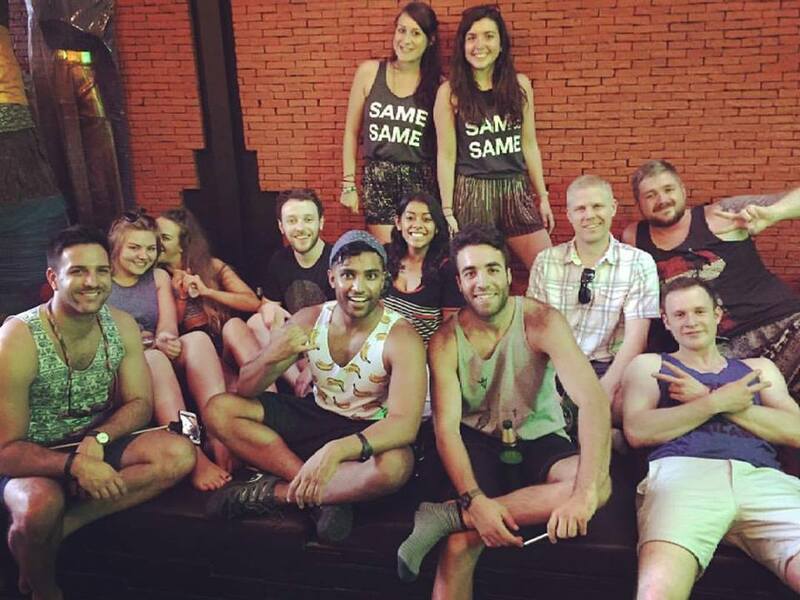 We love Bangkok, and for the people who get to know the Thai Capital, they do too. Trust us, there is more too it than hectic traffic, buckets, tuk-tuks and massage shops. Bangkok has off beat places too. Any long-term trave ..
Thailand was once a place that few visited from destinations afar, but nowadays that’s completely the opposite. With tourism booming in the land of smiles, Thailand is expecting a rise once again this year, with over 30 million visitors expected. If you’re keen to see the world, and Southeast Asia is the first place you want to travel, as many do, backpacking Thailand will probably be first up. Now, with many things to do in Thailand being opened up year after year, the main bucket ..
For many backpackers heading to Southeast Asia, things are CHEAP in comparison to prices back home. The street food, the shopping and the transport are all examples. 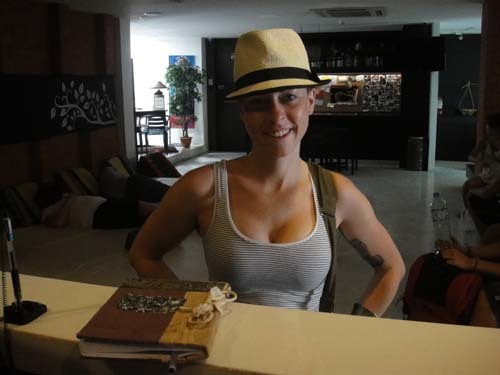 For any backpackers being able to experience a fantastic currency exchange, it’s something that really is a privilege. 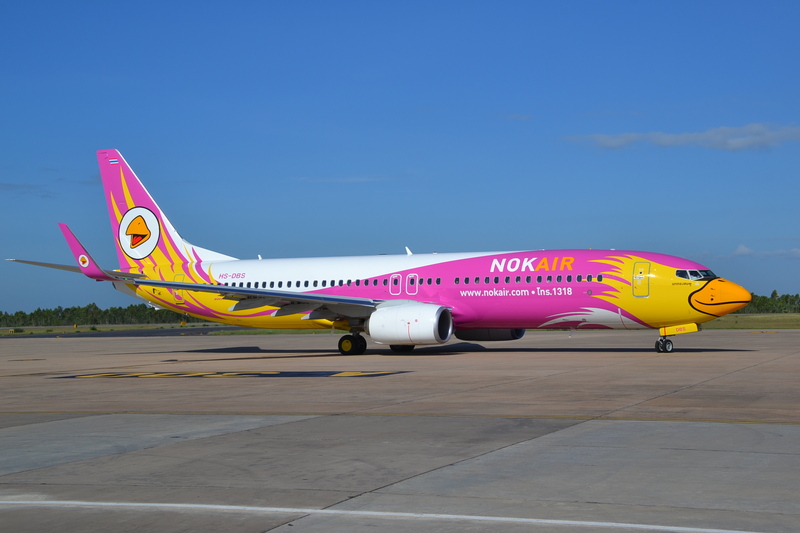 If you’re looking for cheap transport alternatives, something that is cheap for everyone, then look no further than budget airline travel options within Thailand. If you’re on a short trip, or need to b .. If you’re backpacking Southeast Asia soon, by now you’ve probably discovered Bangkok is the most common first port of call. Not only is Bangkok the capital of Thailand, but it’s one of the main hubs of Southeast Asia for flying in and out. With many international flights arriving here, Bangkok is the most visited city in the world with around 21 million visitors a year. But that’s not all. 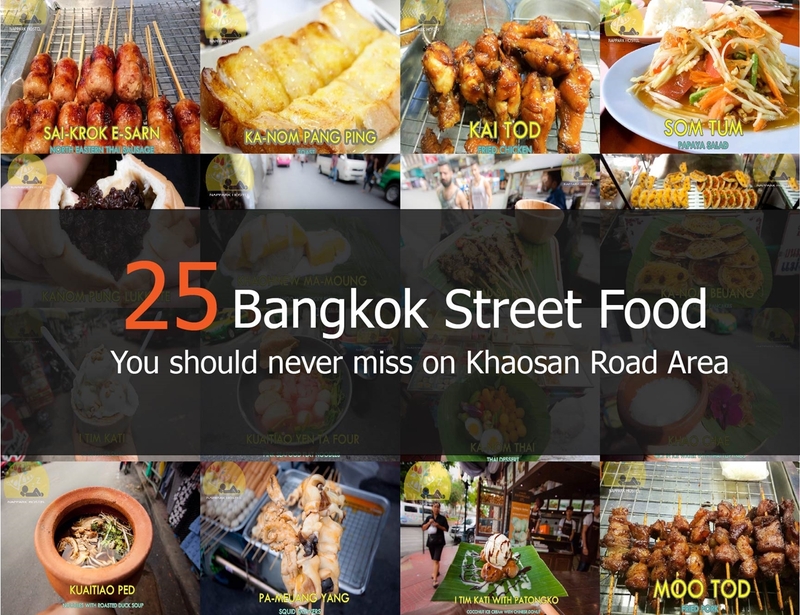 Bangkok finds the right balance from Asian to Western culture, meaning you’ll dip your toes into Asi ..
25 Thai Street Food You Should't Miss in Bangkok! No matter what reasons that bring you to Thailand, don’t miss trying local Thai street foods. Especially the delicacies that have been around for generations. Here, to eat like locals, we can recommend the selections of food stalls which guarantee no disappointment and worth to try. Many of them are around #Khaosan Road area where you can hop in and out by just walking. Yummmm....Neua satay (Areesa beef sa tay) Neua means beef, neau satay from Aheesha roddee restaurant .. It is no secret that Thailand is home to some of the best cuisine and chefs in the world. With an abundance of different tastes and varieties of dishes, we can’t blame you if you’re tastebuds will be in overdrive. 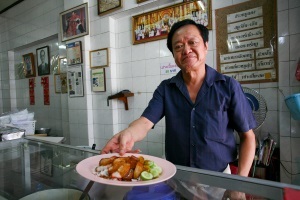 Bangkok is not only the capital of the country; it is also the capital of the cuisine here too. With Michelin star restaurants, dozens of quality food courts, hundreds of authentic street food vendors and as many food markets, Bangkok can be seen as the Disneyland of food in Tha ..
Thailand is seen to many as a promised land. A country full of rich culture, fantastic food, bustling cities, a verdant north and island's that are like the paradise you'd imagined. Thailand get's the nickname as 'The Land of Smiles' and with it's warming and welcoming culture, it's not difficult to see why. But in any country, there are limitations, and some more than others. Whilst you're travelling Thailand, you'll no doubt experience the best attractions and places Thailand has to offer, it ..
Thailand has been a backpacking hotspot for years, and although the country has tourism from all forms of travellers, it still has its original backpacking roots. Normally, if you're backpacking Southeast Asia, Thailand will be the first stop. With an abundance of cities, towns, islands and villages to visit, you'll have all kinds of new experiences to prosper. Thailand to many new western travellers, is a culture shock so it's important to be ready when you're backpacking experience in the ..
Songkran is upon us! Thai New Year is just about to commence and now it’s time to celebrate and get super wet! From the 13th of April until the 15th of April, the streets will be packed of Thai’s and tourists spraying each other relentlessly. It’s time to get your water guns bought; your water balloons ready and enjoy the celebrations! Here at Nappark we’ll be right in the mix of things. With the walkway leading up to our hostel doors, there will be guests and staff soaked; there’s .. If you are visiting a new country, one of the best things to do to integrate yourself with the locals is learn a bit of the local lingo. In Thailand, especially in the tourist and hotel business, nowadays there is a lot of English spoken to cater for the mass tourism. However, if you don't want to be the many tourists who just visit and expect Thai's to speak what language they speak, you can learn some Thai phrases that would help you when you travel Thailand.It doesn't take long, you just need .. Sometimes when we travel we can be afraid to ask. Why? Everyone is different, but sometimes we assume before we know the answer. When you travel, it will help you greatly to just ask. Always ask wherever you are. Things are different from your home when you leave to travel, and things are different in Thailand for sure. You may be trying to work out how to go here, or how to visit there. Well, just ask us! 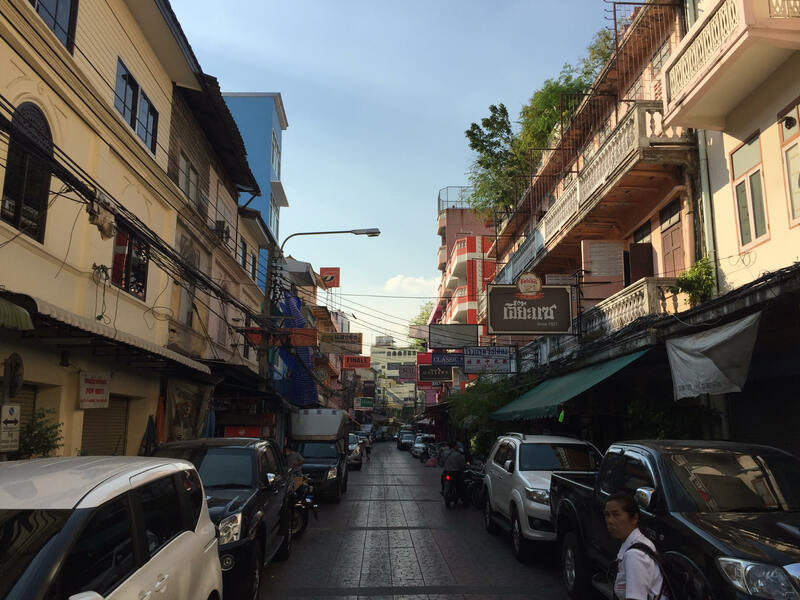 We are here to help, and like one of your recent blog entries, Nappark is More ..
We get asked a lot about what is on Khao San Road. We all know the street is a backpacker haven, full of parties and lots of lights, but if you’re looking for discounted (and knocked off) items, what can you actually buy down there? No doubt you’ll find out what’s on sale before you even open your eyes with the amount of street hawkers, but in case you’re reading this prior to your arrival in Bangkok, you might want to take notes. We’re not going to say they will be the best purchase ..
Bangkok has everything. The food, the smells, the traffic, the skyscrapers, the bars, and the parks – you name it. We love our city because there is so much to do. If you like typical Thai culture, we obviously have that. Nowadays, there are areas for travellers and expats to enjoy some comforts of home. 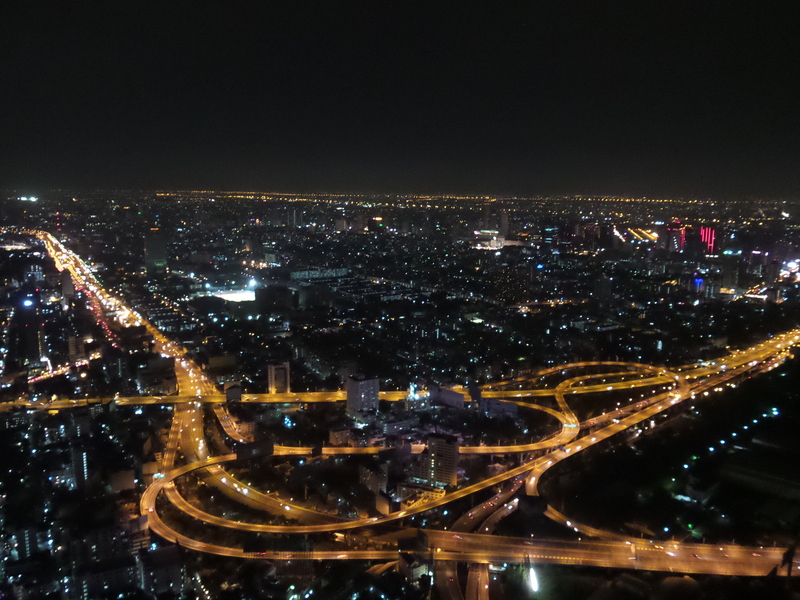 It’s difficult to not love Bangkok once you’ve seen and experienced what it has to offer. Sometimes though, we’ll all admit, Bangkok can become too much. As in any city, we just need ..
One of the most popular reasons millions of tourists visit Thailand is the amazing food on offer. Thailand boasts some of the best chefs in the world, with a whole array of flavours, spices, herbs and tastes. Thai cuisines suits everybody with so many dishes to choose from, you'll soon become a Thai food expert. If you eat in some of Thailand's restaurants or street vendors you're bound to be introduced to something new. Despite the efforts of Bangkok street markets to be reduced, there seems to ..
Travel is the ambition of many people now. We have cheaper flights, more access to foreign destinations and social media just makes us tempted even more so. Thailand is no stranger from travellers. In 2016 it was estimated that 29 million tourists visited here in Thailand, and that this year, 2017, there will be 34 million. Some of them for sure came to us, here at Nappark!As much as we all love travel, it is important to be responsible when you do. We understand that in Asia, rules and lifestyl .. 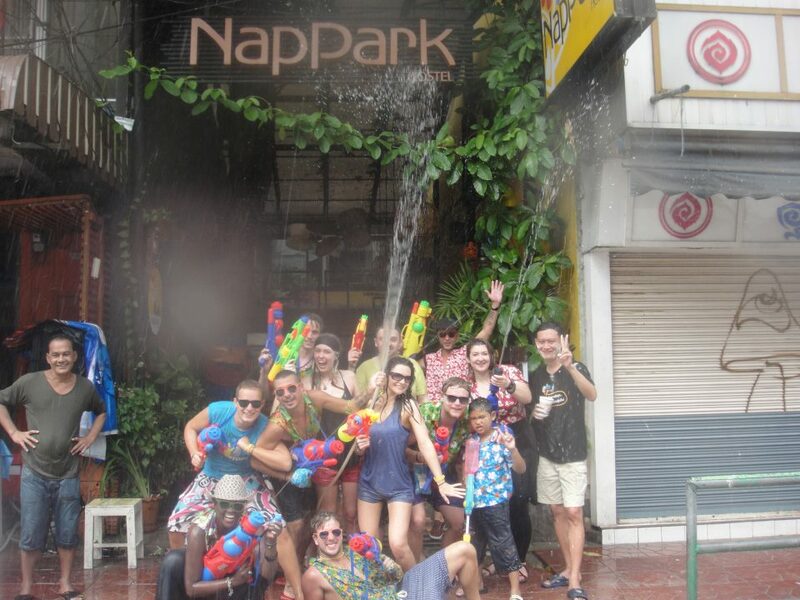 Since 2011, Nappark has been the temporary homes to all kinds of travellers passing in and out of Bangkok. 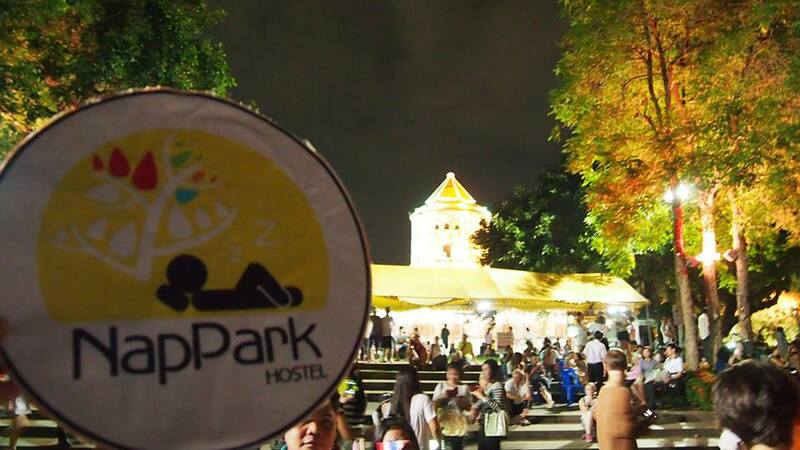 The social vibes, comfy beds and great location puts us at one of the most popular hostels in Bangkok. 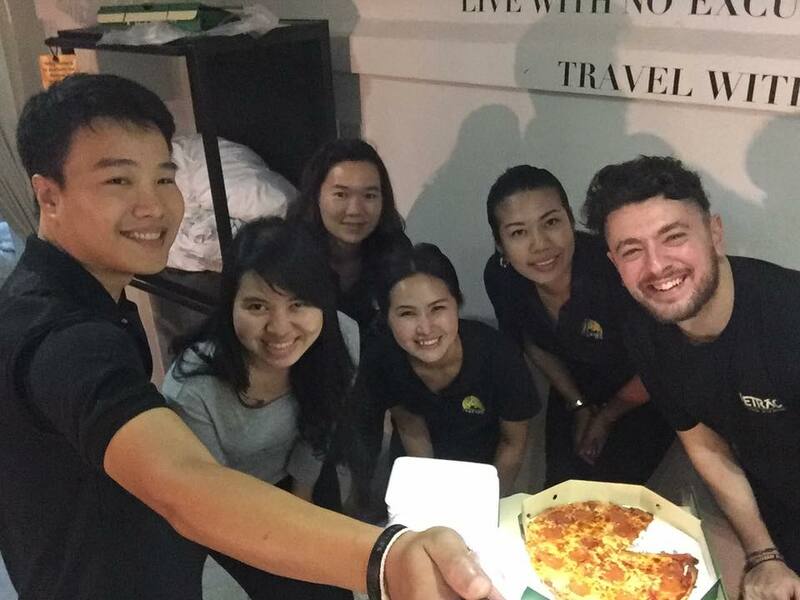 In fact, we were just voted via Hostelworld as ‘'Most Popular Hostel In Bangkok' for 2016 in their recent ‘Hoscar’ awards. Nappark prides itself on good service, so that’s why, in case you didn’t know, we thought we’d remind you of what else we do that can benefit you. Nappark .. So you’re travelling to Thailand for the 1st time, and maybe it can be a bit daunting. I mean, Thailand has many a whisper. Especially from the stories you may have heard about many crazy things in Thailand, things that just do not happen in your own country. We have to admit, Thailand does things different. But there are tales that are just not true. Yet, there are tales that have a hint of truth in them. So we thought we'd clean up a few myths and tell some truth in some of those whispers ..
Thailand is a place that many people are visiting nowadays. In 2016, 29million people visited the ‘Land of smiles’ and it is estimated a further 34million will visit in 2017. Thailand is popular, and we all know that. 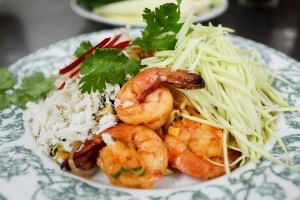 One of the biggest reasons Thailand is popular is down to its delicious cuisine. Thai’s are some of the best and creative cooks in the world, throwing all sorts of spices, herbs and ingredients into the mix. Eating has become a hobby for those who can afford it, and ‘foodies ..